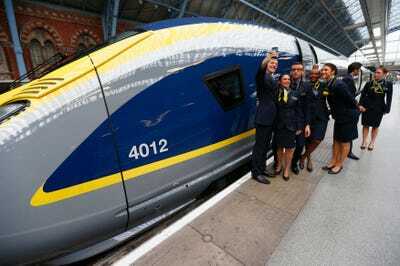 Eurostar — the train network that connects the UK with France and Belgium — introduced its new series of luxurious high speed trains this week, just in time to celebrate its 20th anniversary of cross-channel service. 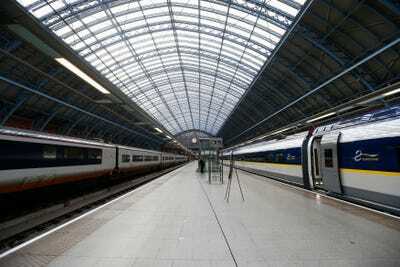 The Eurostar and the channel tunnel it travels through on its trips in and out of Europe have helped shape modern travel in the UK. 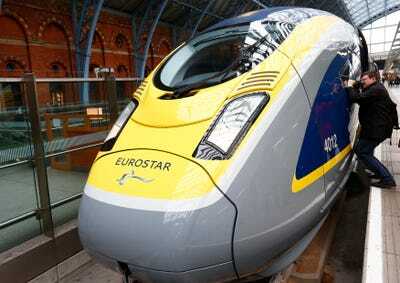 Called the Eurostar e320 — in reference to its 320kph (200mph) top speed — the next generation of super fast trains will continue the legacy of efficient high speed train travel between Britannia and the Continent. 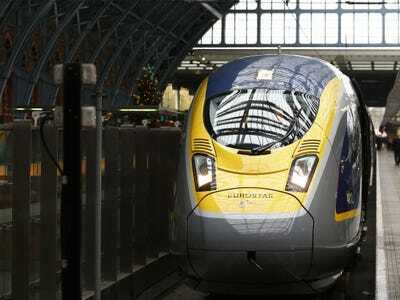 According to the Guardian, the first 17 e320 train sets will enter service late next year. 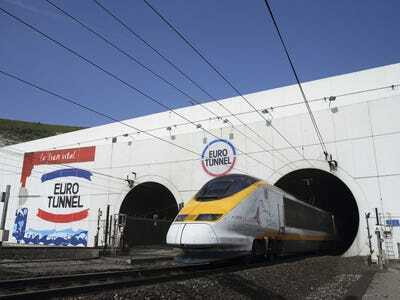 The Eurostar and the English Channel Tunnel or Chunnel commenced operation on November 14, 1994. It's always been a popular travel option. 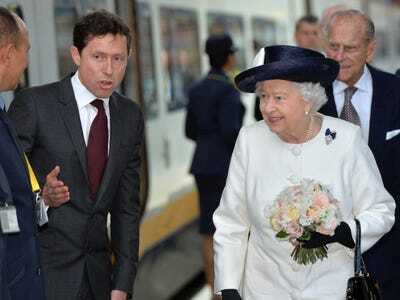 Even Queen Elizabeth II travelled to France onboard the Eurostar. For the first 20 years, Eurostar service has run on French TGV-based trains. 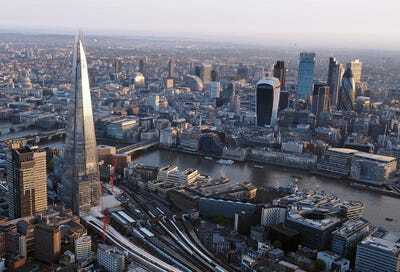 The engineering is courtesy of Siemens of Germany. 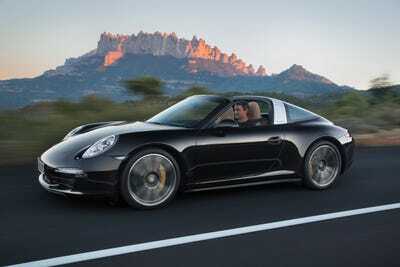 So we get Italian style and Germany precision, all rolled into one. Ferrari and a Porsche! Together at last -- on a train! The e320 also has a Ferrari and Porsche-esque top speed -- 200mph. 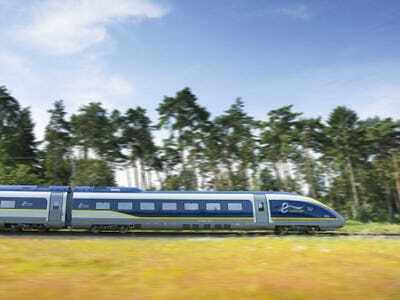 Better than the 186mph top speed of the current train. 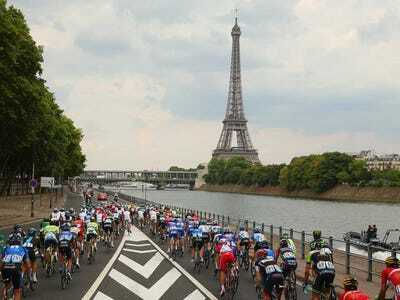 That's good enough to cut 15 minutes off of the trip to Paris or London. The e320 is controlled in this state-of-the-art cockpit. 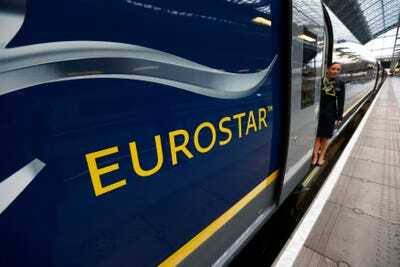 Although Eurostar CEO Nicholas Petrovich is sitting in the conductor's seat -- but he won't be the one in charge of the train. 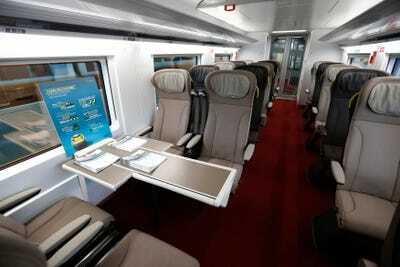 The business class cabin offers passengers a quiet and comfortable space to work. 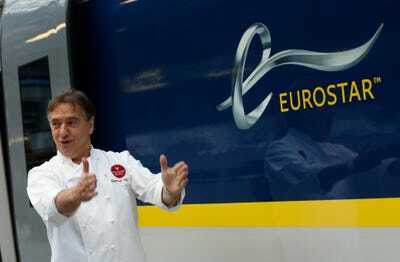 ... and to enjoy a menu prepared by Michelin-starred chef Raymond Blanc. With that said, the standard cabin's Pininfarina interior is nothing to scoff at. 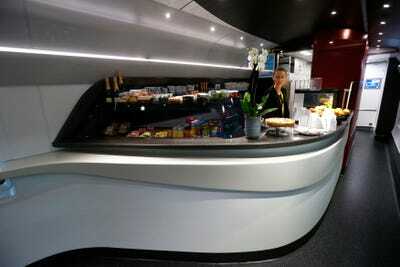 ... as well as access to free wifi and USB outlets at each seat. 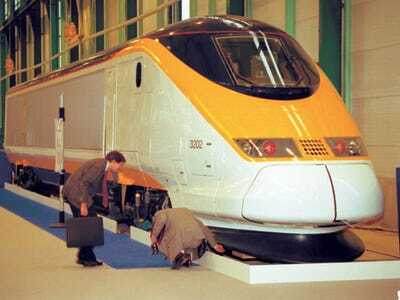 The first 17 e320 trains -- valued at roughly $1.6 billion or £1 billion -- will debut around the end of 2015. 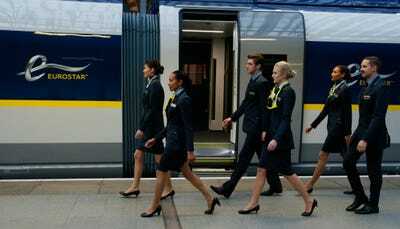 The new trains are also expected to boost Eurostar passenger capacity by 20%. 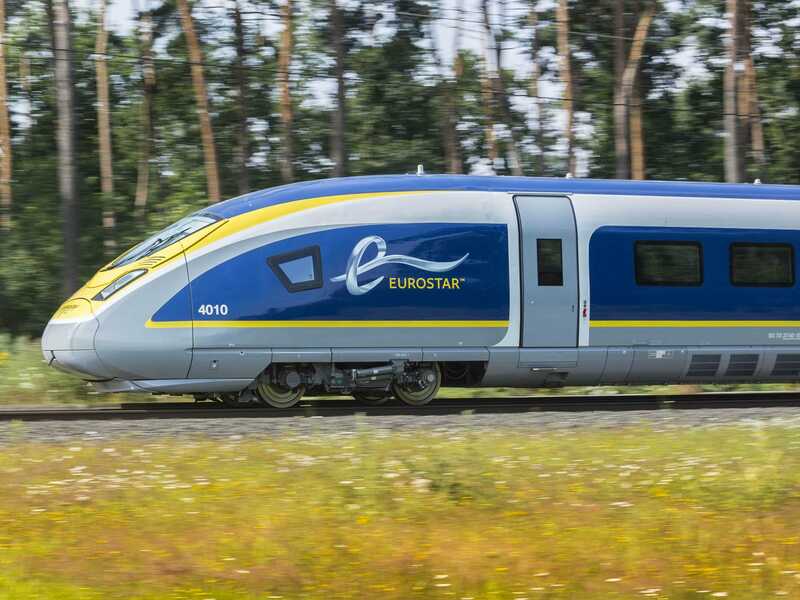 Not only will passengers get quicker and more modern trains, they will also allow Eurostar to expand service into the Netherlands as well as multiple locations in France. 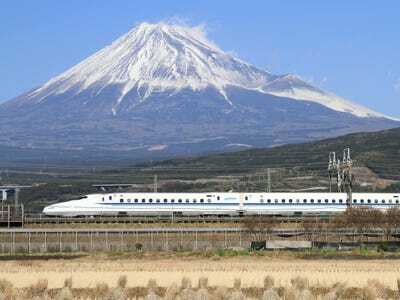 As for the existing trains, they're not going away. 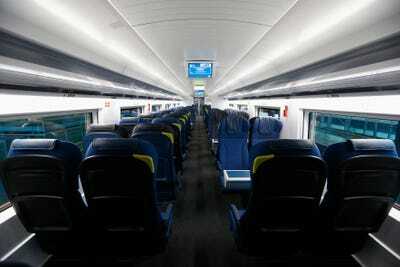 Pininfarina is expected to refurbish their interiors and bring them up to the style and functionality of the new trains.